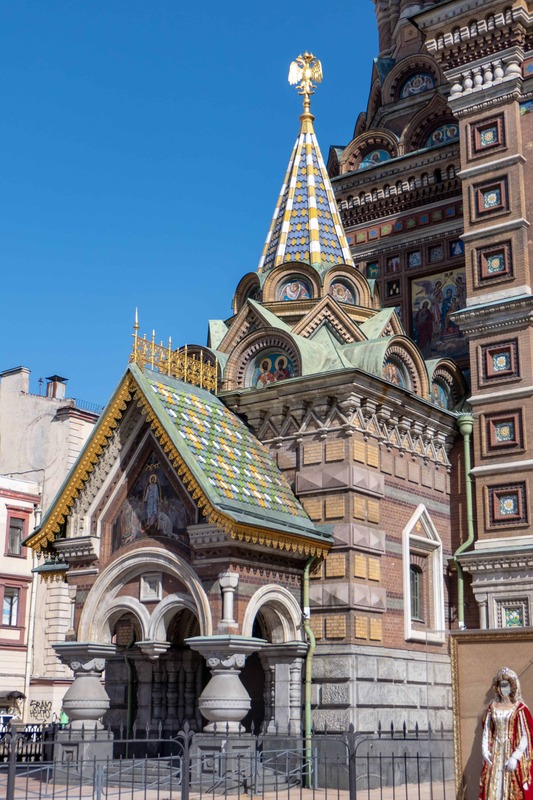 Wanting to experience more of Russia than just Moscow, it was time to choose a second Russian city to explore during the same trip. 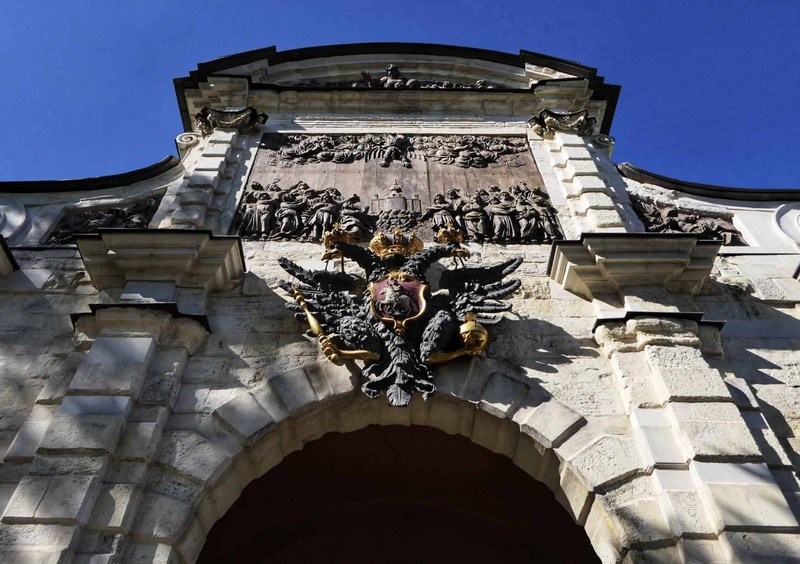 Russia is the largest country in the world by area, and since St. Petersburg is close to Moscow, the decision was easy. NOTE: This post is Part 2 of 2 of my Russia 2018 adventure. Click here to see Part 1: Moscow. Formerly known as Petrograd. Formerly known as Leningrad. 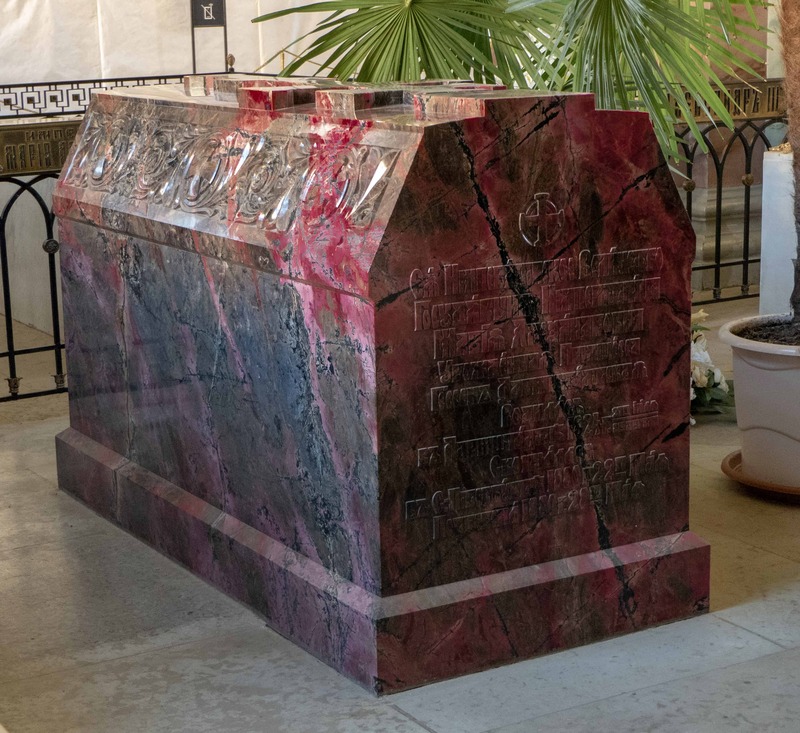 This former capital and playground of the Czars has changed names more than Liza Minnelli has changed husbands. 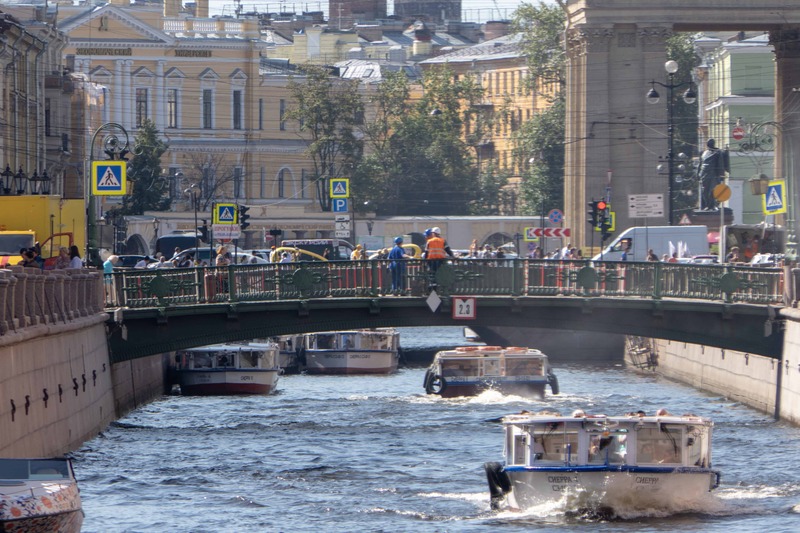 As we would come to find out, St. Petersburg couldn’t be more different from Moscow in almost every way. Opened in December 2009, the Sapsan high-speed line allows travel between the two largest Russian cities at speeds of up to 350 km/h. 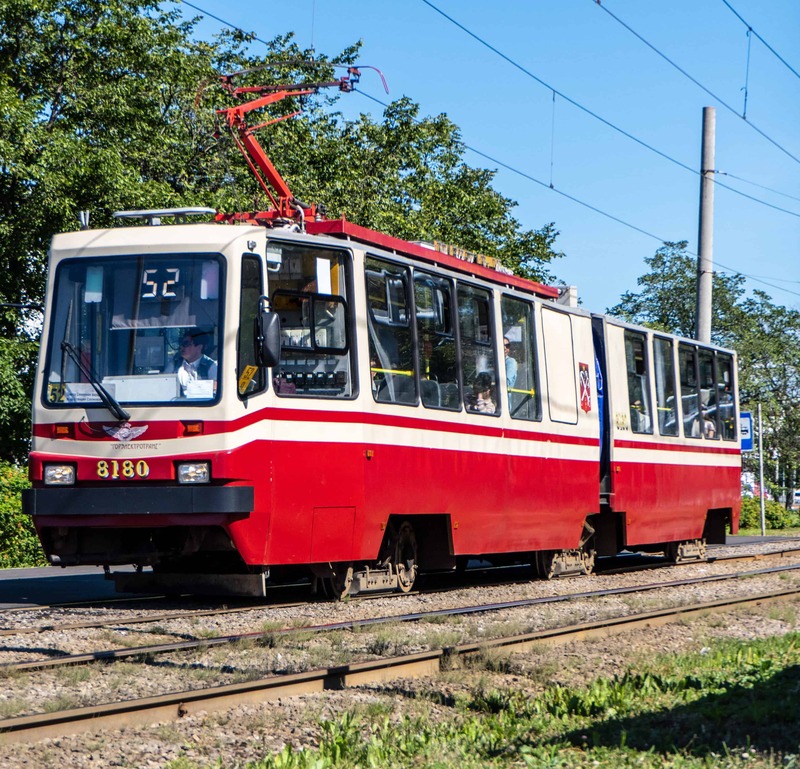 The trip from Moscow to St. Petersburg is easily made via regular air and train service linking the two cities. 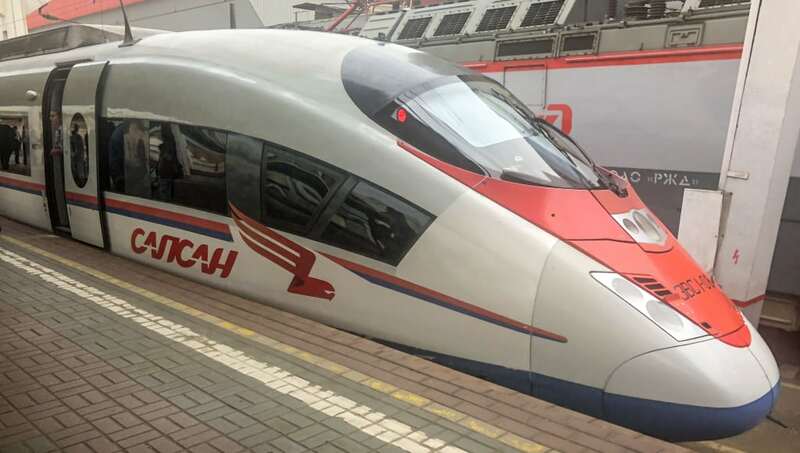 We had opted for the high-speed Sapsan train, which makes the journey from city center to city center in just about three hours. The Sapsan is fast, comfortable, and on par with the other fully developed European high-speed intercity rail systems like the French TGV or German ICE trains. Street scene in St. Petersburg, Russia. Short buildings and canals are standard. 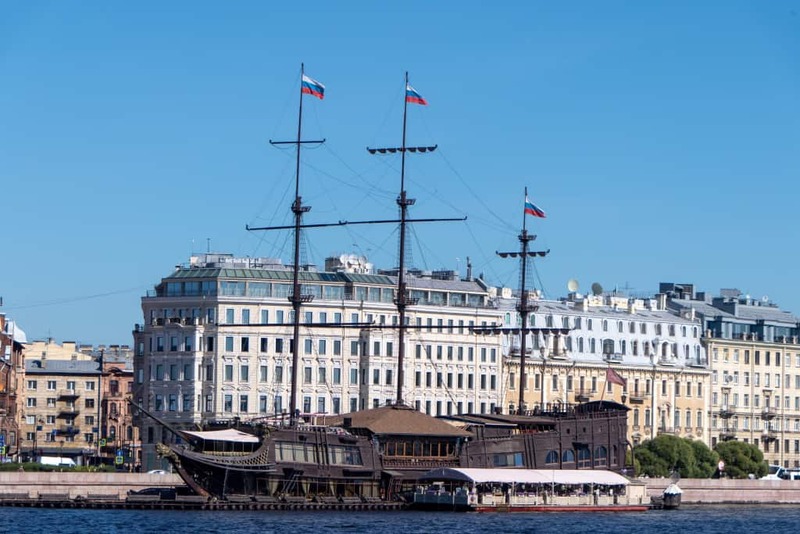 Russia’s “second city,” St. Petersburg, was built three centuries ago — which is recent, compared with most cities in Russia. 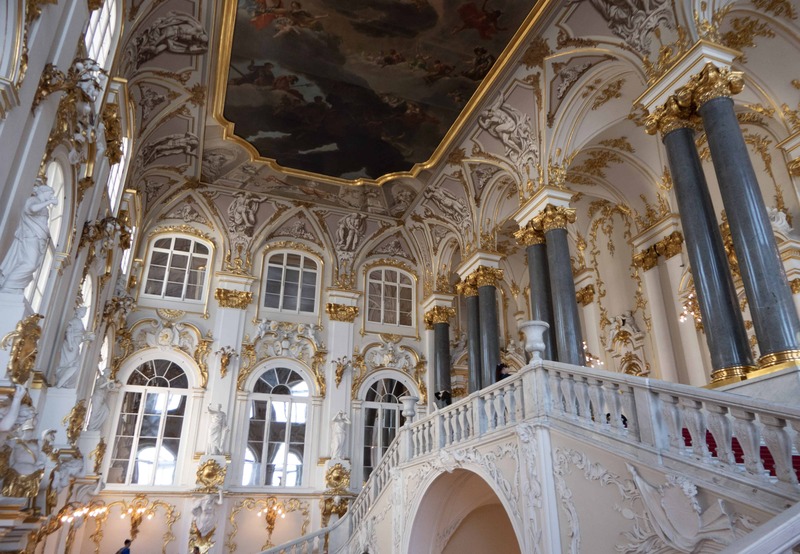 Emperor Peter the Great imagined a luxurious playground for the ruling elite, a true window to Europe. More canals and short bridges just around every corner. 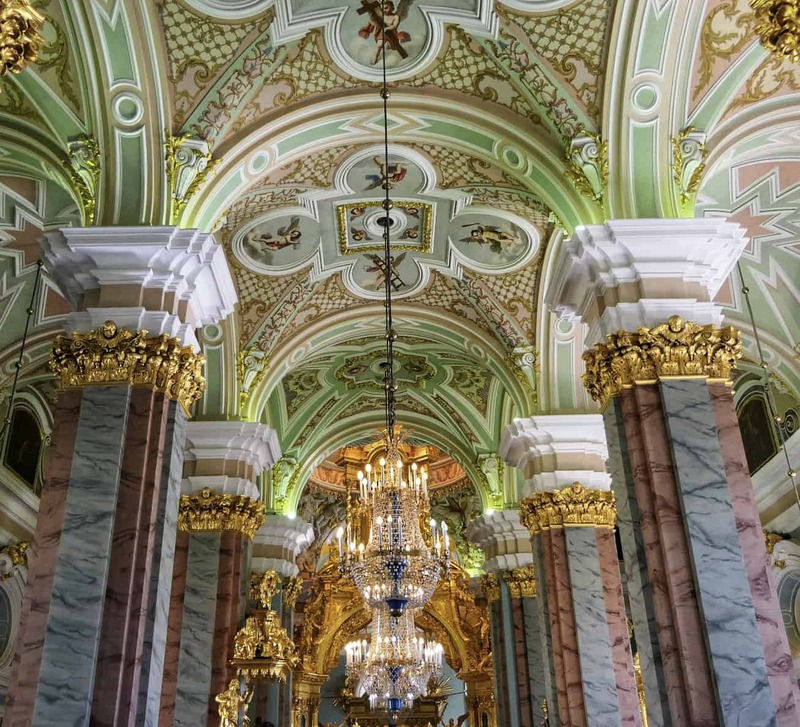 Architecturally, St. Petersburg looks much different than Moscow. Moscow is modern with tall buildings, wide streets, and huge sidewalks. I believe we heard St. Petersburg has some sort of height limitation rules for structures. The city consists of many canals, bridges, narrow roads, few sidewalks, and the aforementioned short buildings. 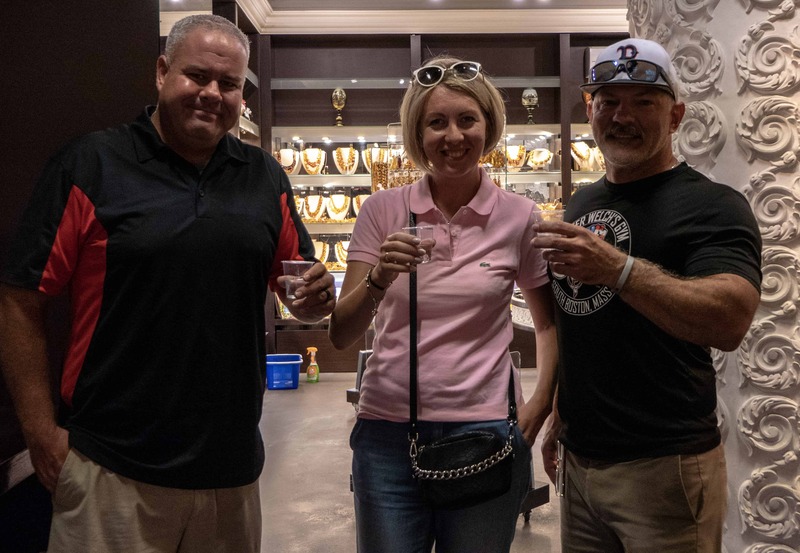 Me, our tour guide for one day, and Jimmy having a shot of vodka at 11 a.m. I mean, we’re in Russia. It’s. What. They. Do. As far as looks go, think: Venice or Amsterdam. As far as comparison analogies, I would feel comfortable saying to someone that St. Petersburg is to Moscow as San Francisco is to New York City. Old sailing ship docked on the main river running through the city. 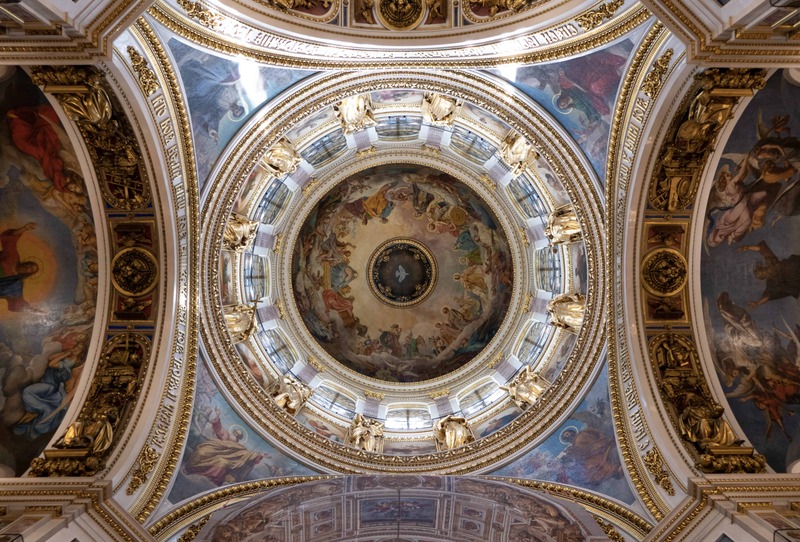 St. Isaac’s Cathedral is one of St. Petersburg’s most photographed landmarks, mostly because of its colossal size: The golden dome of Europe’s third highest cathedral is visible from dozens of kilometers away. 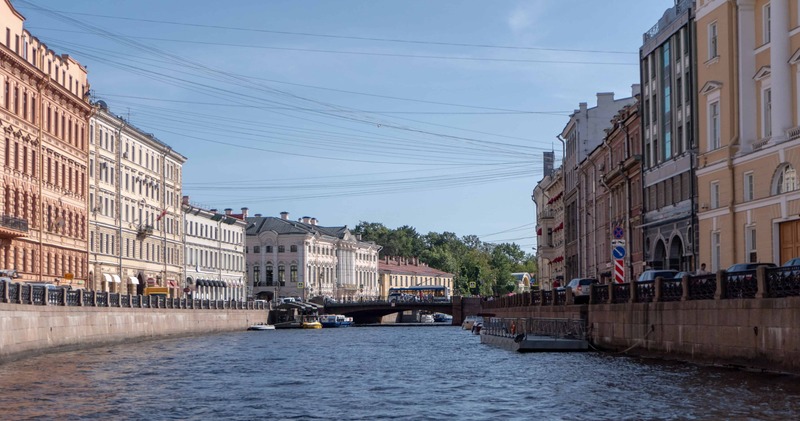 Summer in St. Petersburg means incredible white nights. The sun never sets over the canals and cafes, and this cultural capital explodes with life. There’s a festival of boats on the river, fireworks and concerts. 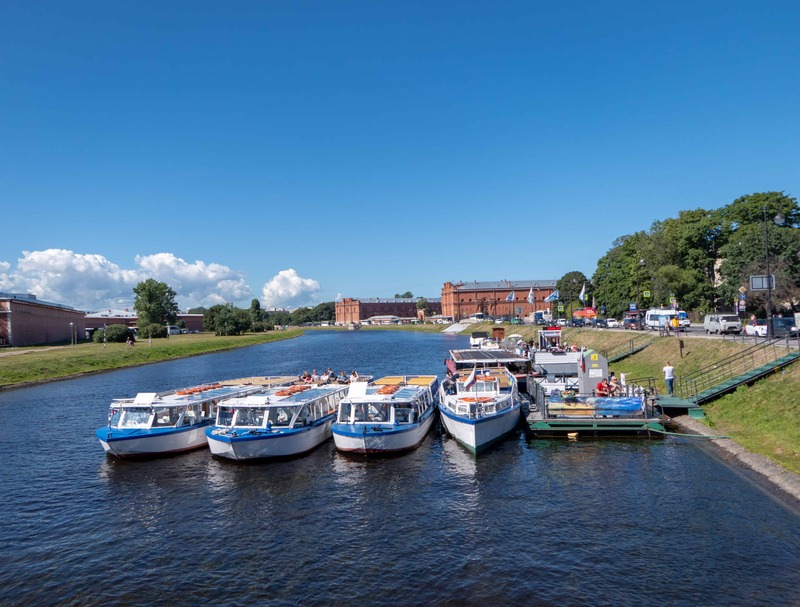 Tour boats lined up ready for passengers. It was a beautiful summer day in this northern climate city. 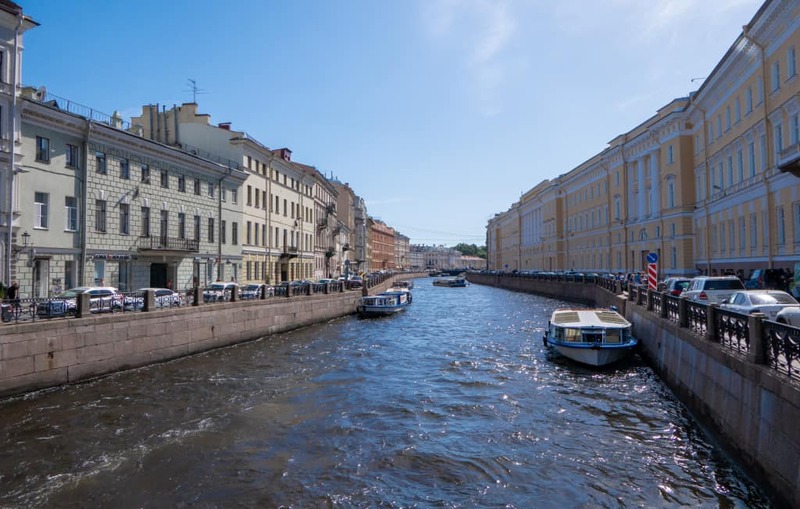 St. Petersburg is much further north than many realize. It sits entirely above the whole Unite Kingdom, further north than Stockholm, Sweden and parallel to Helsinki, Finland. 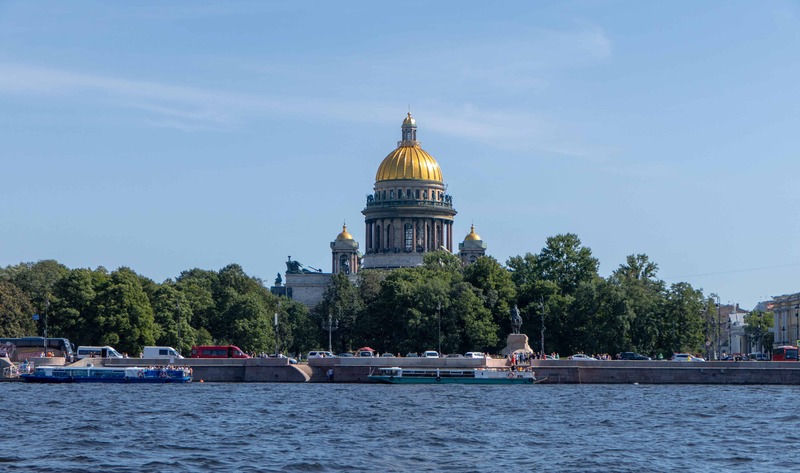 Our tour guide says that on average, St. Petersburg gets between 62 and 64 “sunny” days per year (out of 365). We were lucky enough to get three of them in a row. 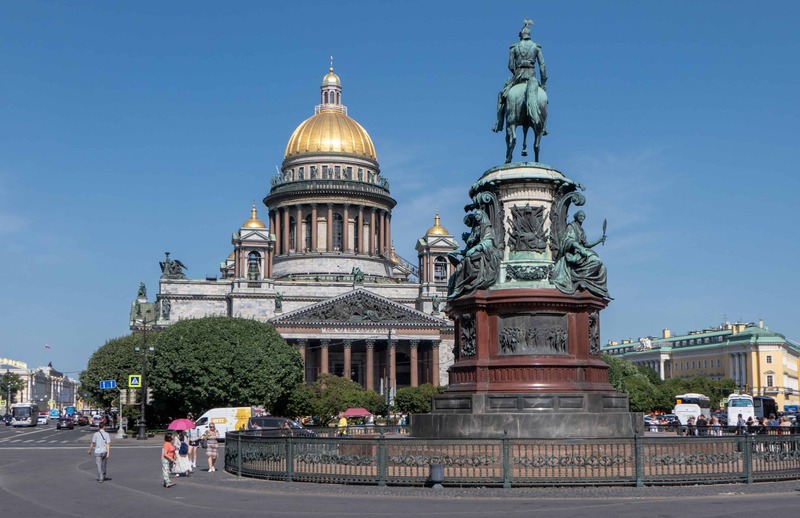 Street side of St. Issac’s Cathedral in Isaakievskaya Square, marked by the equestrian monument to Emperor Nicholas I.
St. Petersburg is also the cultural capital of Russia with the Hermitage, home of the second largest art collection in the world next to the Lourve in Paris. It’s socially more liberal as far as GLBT lifestyle acceptance, although the bar on this one for Russia as a whole is quite low. 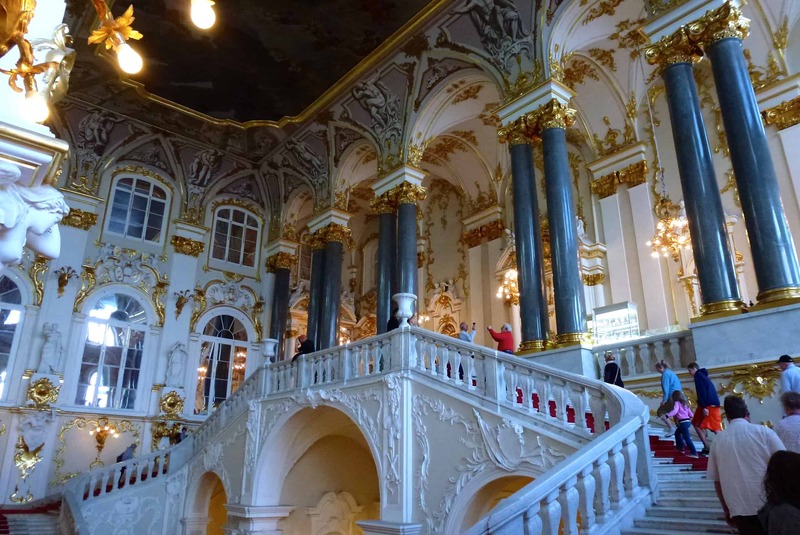 Grand entrance to the Hermitage Museum. The Hermitage was created in 1764 as the private collection of Empress Catherine the Great. 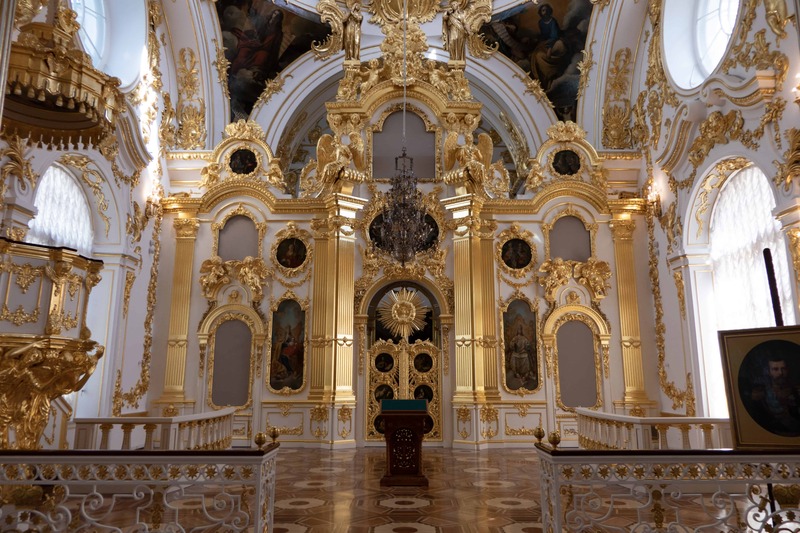 She commanded Russian ambassadors around the world to purchase the best pieces of art they could find. Through their work, she grew her collection, which went on public display (to the “respectable set”) in 1852. One of the many outside facades of the Hermitage Museum. 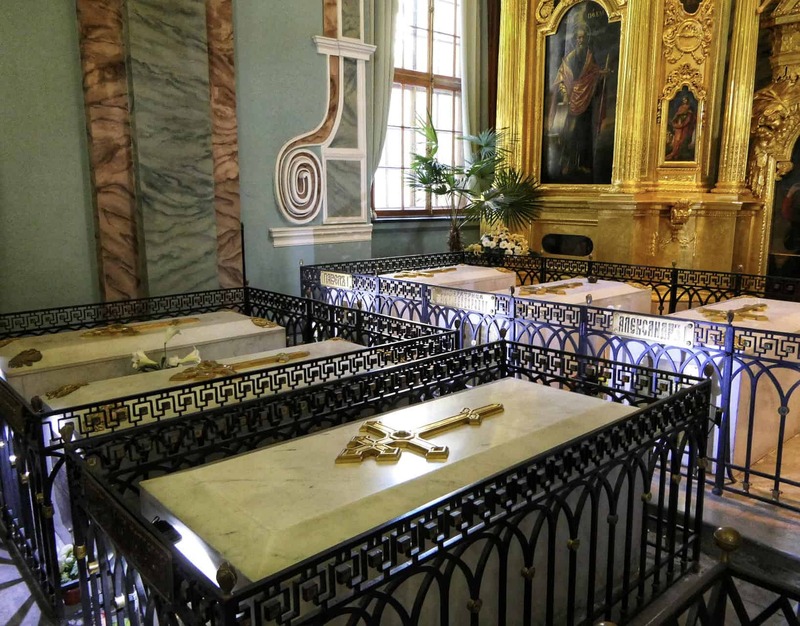 More tombs inside the Saints Peter and Paul Cathedral. 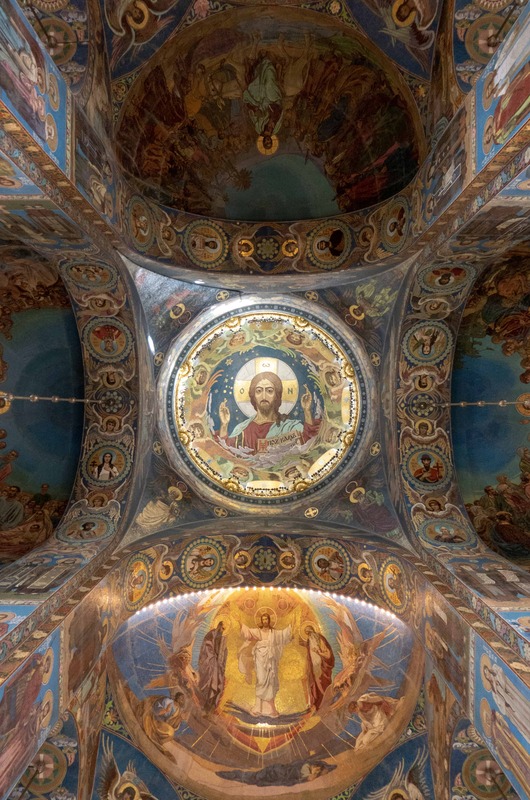 Beautiful ceiling art work inside the cathedral. Took this at a direct 90 degree up angle in the center of a circle on the floor. 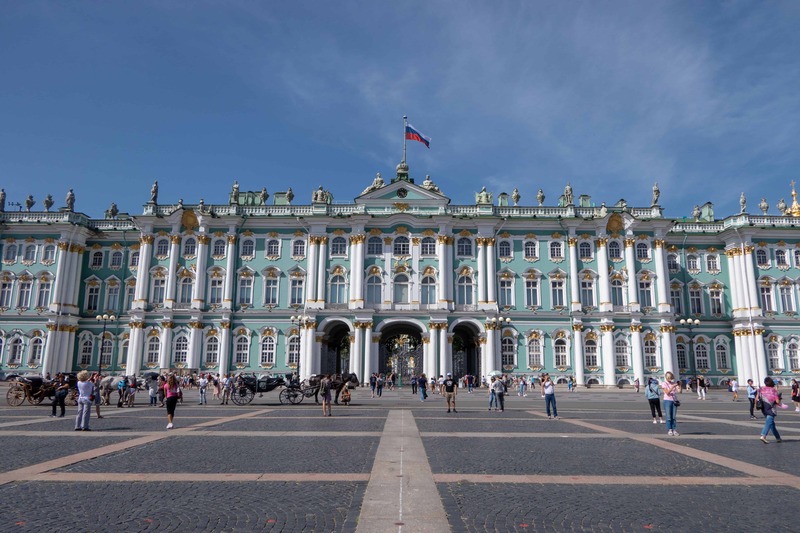 A simple one-day road trip outside of St. Petersburg brings you to Peterhof Palace, home of the palaces and summer hot spots of the Czars and other important figures of the former U.S.S.R. 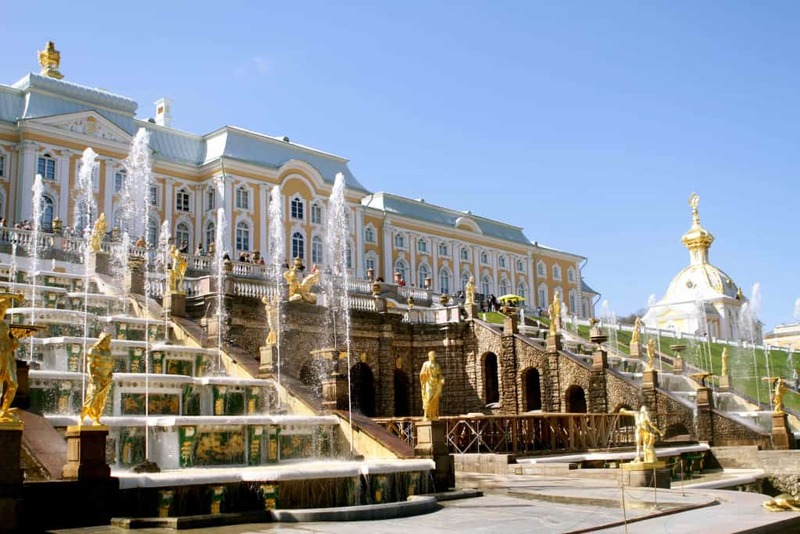 The Peterhof Palace and grounds were constructed to Peter the Great’s specifications and are referred to as the Versailles of Russia. 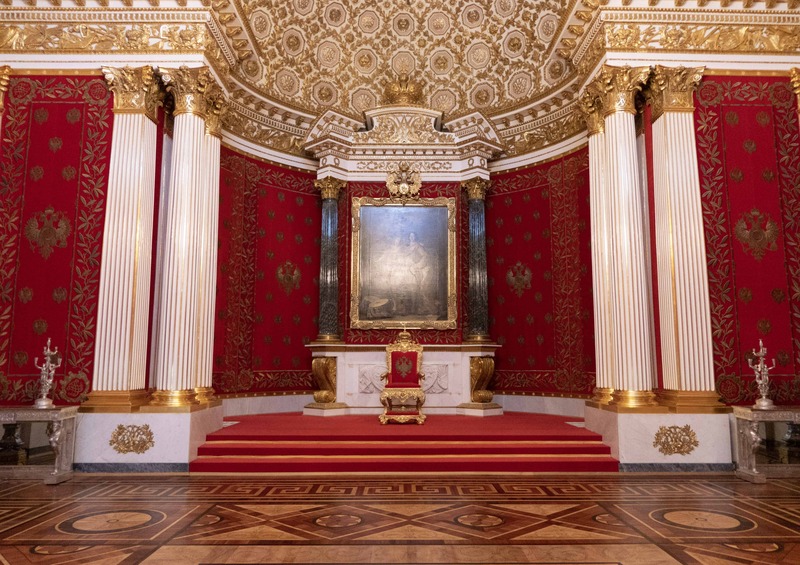 It took over 1,000 volunteers and military engineers to return the palace to its former grandeur after its partial destruction by the Germans in World War II. 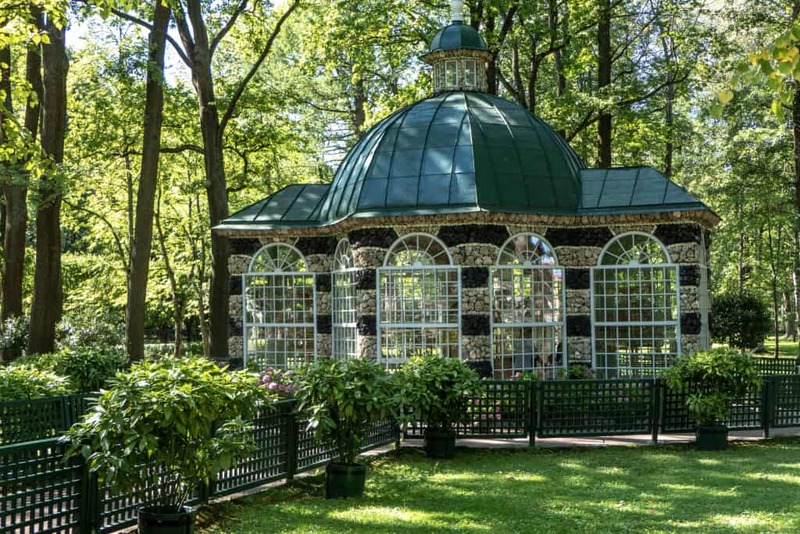 Beautiful grounds and buildings dot the landscape around Peterhof Palace. 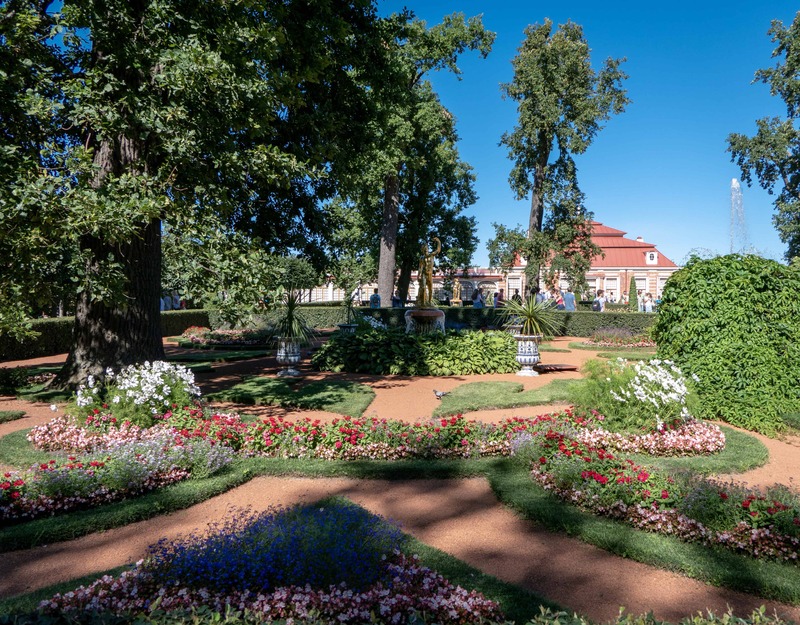 One of the many garden scenes in and around Peterhof Palace. That’s about it. You can read my review of Moscow here. That’s both of the largest Russian cities knocked off the list. My travels going forward likely won’t take me back to the Russian Federation. Rather, I look forward to visiting many of the former Soviet Republics like Ukraine, the Baltic States, and the -Stans. Enjoy the full gallery of St. Petersburg pictures below!